One-part natural finish penetrates and seals hard and soft woods like teak and mahogany to protect against mold and mildew while retaining natural beauty. Minimizes the graying and staining caused by extended exposure to the elements. That gray, weathered look might be appealing to some, but it can actually hurt the wood and the boat because unprotected teak will break down over time, causing costly leaks plus wood plug and bedding damage. 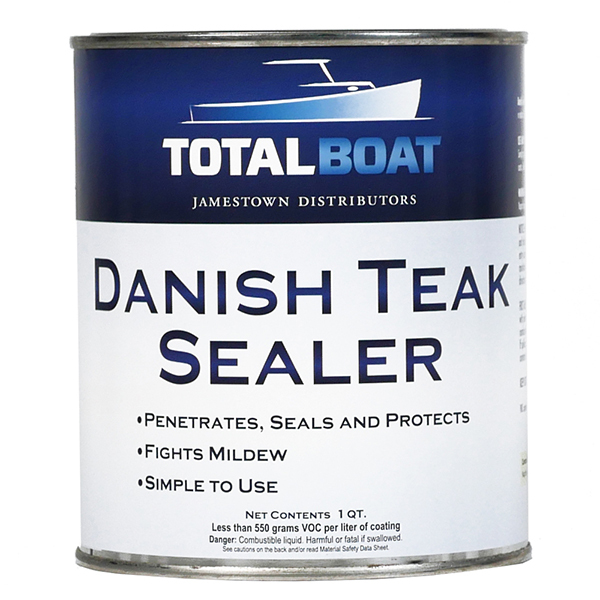 TotalBoat Danish Teak sealer saturates wood grain deeply. Simply brush or wipe onto clean, dry teak or other woods after cleaning, let it sink in, wipe away the excess, and let it dry. It’s a small amount of work for a big, beautiful, lasting payoff both in looks and in protecting your investment. Maintaining the finish is simple: Just clean the surface and apply another coat as the wood weathers. An excellent followup treatment after first cleaning or sanding teak.